Go on, take your time and have a bit of a think about it. And while you do that, I'll be over here in the corner suggesting the following. How gratifying it is to know just how far we've come as a civilisation in the last 93 years. What a comfort it must be to the families of the fallen to know that their sacrifice wasn't in vain, and that their memory lives on in the bedrooms of spoiled, pampered teenagers the world over on this most melancholy of days. What comfort. What a relief. What an absolute, 24-carat, solid gold effing disgrace. We will remember them... by recreating their acts of heroism for entertainment purposes between mouthfuls of pizza and the next thrilling instalment of The X-Factor. 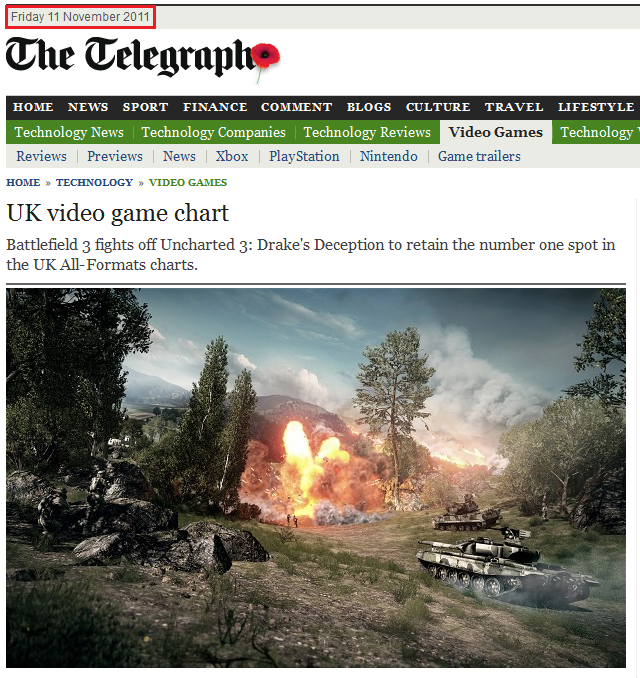 As for you, Telegraph sub-editors - great job. Great job.